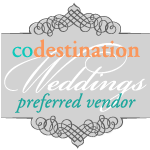 You are here: Home / Featured / Amore’ DJ Entertainment Covers Provides Exceptional Wedding Entertainment Anywhere in Colorado! Anyway you think of it, from a fun wedding in Fort Collins, a Colorado destination wedding in Estes Park, a classy wedding in Denver, a stress free wedding in Boulder, a unique wedding in Greeley or a memorable wedding in Vail, pretty much anywhere in Colorado, Amore’ DJ Entertainment is there to serve our brides. The best part though, with our service and the 12 roles we do for weddings , there are never any hidden charges. You’ll get a complete price when we meet. You don’t pay for travel time, set up or tear down time. The price quote I give you is the price we’ll stand by…even if things happen (like a once in a 500 year flood and the drive for Estes Park weddings suddenly takes 3 to 4 hours each way for over 2 months with 12 weddings on the books there during that period. Unlike all the other DJs, we didn’t even think to come back to our brides and demand an adjustment to the price, adding in surprise surcharges for additional mileage, travel time and a hotel room. We do business with integrity. The price we quote, is the price we stand by).